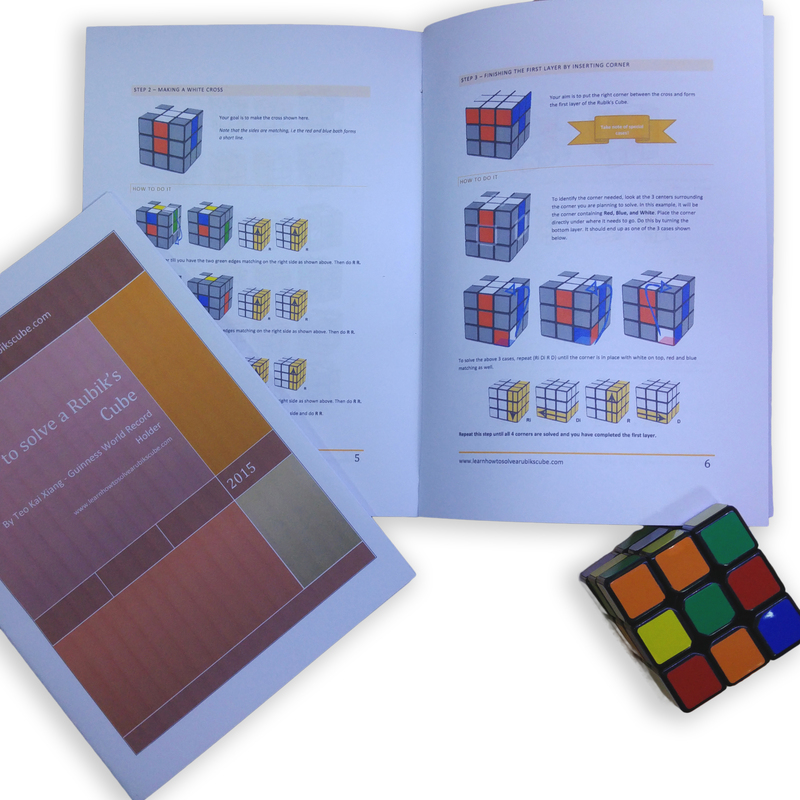 Your aim is to put the right corner between the cross and form the first layer of the Rubik's Cube. To identify the corner needed, look at the 3 centers surrounding the corner you are planning to solve. 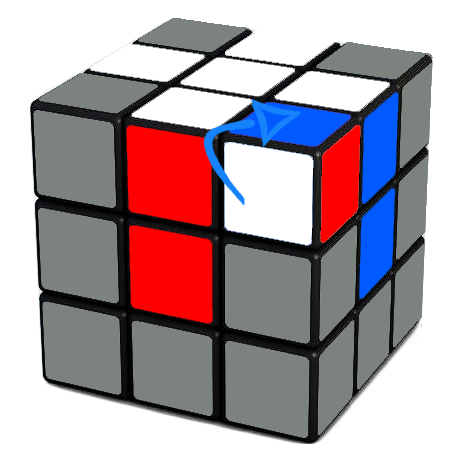 In this example, it will be the corner containing Red, Blue, and White. Place the corner directly under where it needs to go. Do this by turning the bottom layer. It should end up as one of the 3 cases shown below. 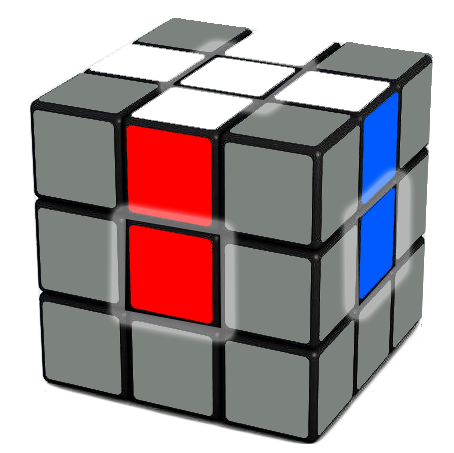 To solve the above 3 cases, repeat (Ri Di R D) until the corner is in place with white on top, red and blue matching as well. In the case that the corner you are solving is already on the top layer, but not oriented correctly(i.e twisted) as shown below, repeat (Ri Di R D) till the corner is correctly oriented(i.e not twisted wrongly). Sometimes, your corner is stuck on the top layer at the wrong place(similar to what is shown here). Do fix this, do (Ri Di R D) to bring the corner down to the first layer. Then solve it as per described on top.